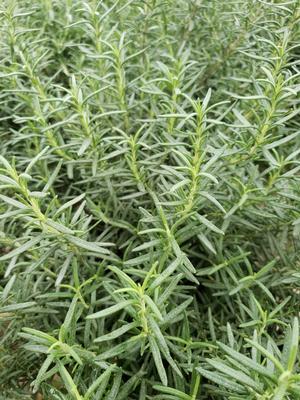 Rosemary Tuscan Blue produces bright sea green, needle-like foliage on its upright stems. In mid-Spring to early Summer, this herb adorns itself with delicate, violet-blue blooms that attract bees and butterflies. Rosemary is one of those wonderful herbs that make a beautiful ornamental plant as well as a welcome culinary seasoning. Rosemary is a woody, perennial herb with fragrant evergreen needle-like leaves. Rosemary leaves have a tea-like fragrance and a pungent, slightly bitter taste. Rosemary prefers full sun to partial sun and average to poor, well drained soil. 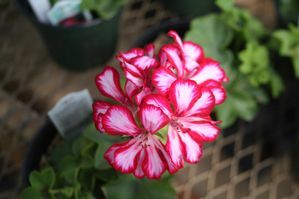 It is drought tolerant and easy to care for. Since Rosemary Tuscan Blue is a sub-shrub, take care of this beauty and it will reward you with strong herbs, pretty foliage and attractive blooms. 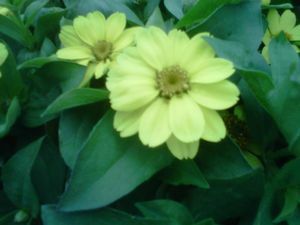 It is technically a sub-shrub, which means it is woody, and can also be planted and pruned as a shrub where fully hardy.